Burlington, NJ — July 11, 2018 — Infraspection Institute and the InterNational Association of Certified Home Inspectors (InterNACHI) have announced dates for infrared training courses at two InterNACHI facilities. Infraspection Institute’s course, Infrared Inspections for Home and Building Inspectors, will be taught at InterNACHI’s House of Horrors® facilities in Boulder, CO and Weston, FL. 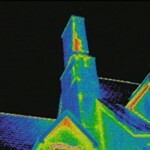 IR Inspections for Home & Building Inspectors is a 16-hour theory and application course for the use of thermal imaging for residential and commercial properties. Designed specifically for home and building inspectors, students are taught how to locate common deficiencies in building envelopes, insulated roofs, and building subsystems. The course provides in-depth and practical instruction for thermographically detecting hidden problems in electrical systems, HVAC systems, roofs, and building sidewalls. Course attendance. Course tuition includes all course presentations, Student Reference Manual and Certificate of Completion. Course qualifies for 16 hours of continuing education by the InterNational Association of Certified Home Inspectors and meets the training requirements for their Infrared Certified professional designation and logo. Course dates are August 16-17, 2018 in Boulder, CO and November 1-2, 2018 in Weston, FL. Course prices are as follows: InterNACHI members: $895; all others $1095*. * Price includes a free, six-month membership to InterNACHI. Offer applies to new members only. Infraspection Institute is the oldest independent infrared training and infrared certification firm in the world. Founded in 1980, Infraspection Institute has trained and certified over 10,000 thermographers worldwide. With over 35 years in business, Infraspection Institute literally pioneered the infrared training industry. During its long history, Infraspection Institute has shaped the infrared industry through training, consulting, technical publications, research, standards development, and software publishing. More information is available at: www.infraspection.com.